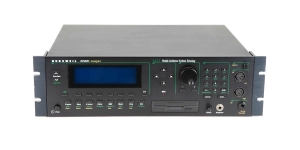 Sound Module/ Tone Generator, Digital (D), Voices: 24, Multi Timbral Capacity: 16 part(s), Oscillators per voice: 4, Production start: 1991, Production ended: Yes. 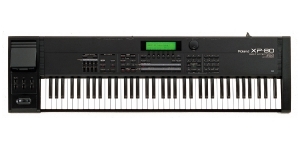 Performance Synthesizer, Digital (D), Voices: 24, Multi Timbral Capacity: 16 part(s), Oscillators per voice: 4, Size: 5, Number of Keys: 61, Production start: 1990, Production ended: Yes. 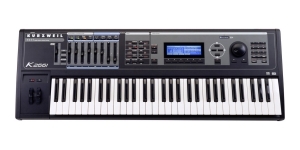 Workstation, Digital (D), Voices: 24, Multi Timbral Capacity: 16 part(s), Oscillators per voice: 4, Size: 5, Number of Keys: 61, Production start: 1996, Production ended: Yes. 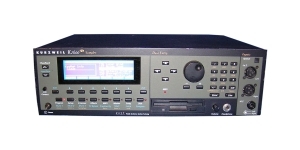 Sound Module/ Tone Generator, Workstation, Digital (D), Voices: 24, Multi Timbral Capacity: 16 part(s), Oscillators per voice: 4, Production start: 1996, Production ended: Yes. 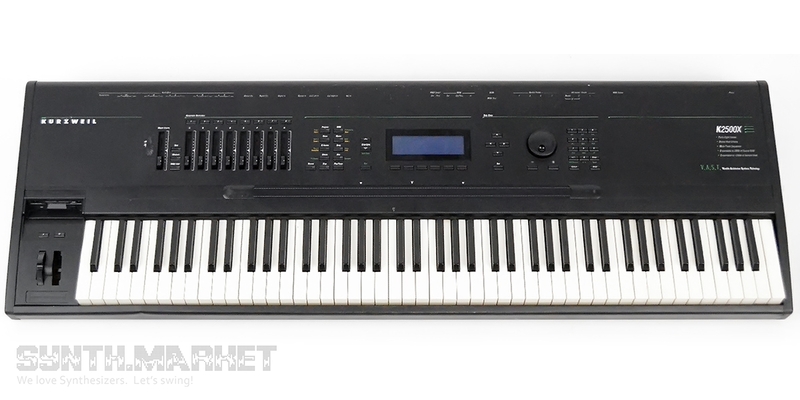 Performance Synthesizer, Digital (D), Voices: 28, Multi Timbral Capacity: 16 part(s), Oscillators per voice: 4, Variable Touch Response, Aftertouch, Size: 6.5, Number of Keys: 76, Production start: 1996, Production ended: Yes. 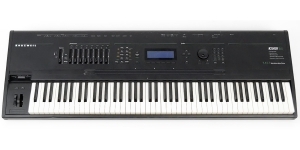 Performance Synthesizer, Digital (D), Voices: 48, Multi Timbral Capacity: 16 part(s), Oscillators per voice: 4, Aftertouch, Size: 6.5, Number of Keys: 76, Production start: 1996, Production ended: Yes. 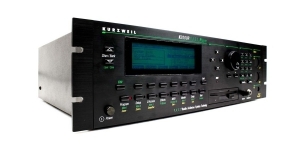 Performance Synthesizer, Sound Module/ Tone Generator, Digital (D), Voices: 48, Multi Timbral Capacity: 16 part(s), Oscillators per voice: 4, Production start: 1996, Production ended: Yes. 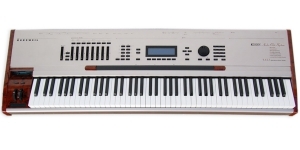 Performance Synthesizer, Digital (D), Voices: 48, Multi Timbral Capacity: 16 part(s), Oscillators per voice: 4, Size: 7.5, Velocity Sensitivity, Number of Keys: 88, Aftertouch, Production start: 1997, Production ended: Yes. 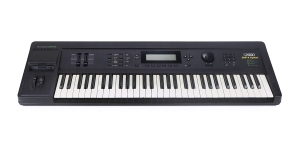 Performance Synthesizer, Digital (D), Voices: 48, Multi Timbral Capacity: 16 part(s), Oscillators per voice: 4, Size: 6.5, Number of Keys: 76, Aftertouch, Production start: 1999, Production ended: Yes. 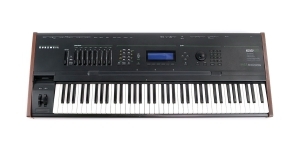 Performance Synthesizer, Digital (D), Voices: 48, Multi Timbral Capacity: 16 part(s), Oscillators per voice: 4, Aftertouch, Number of Keys: 76, Size: 6.5, Production start: 1999, Production ended: Yes. Sound Module/ Tone Generator, Performance Synthesizer, Digital (D), Voices: 48, Multi Timbral Capacity: 16 part(s), Oscillators per voice: 4, Production start: 1999, Production ended: Yes. 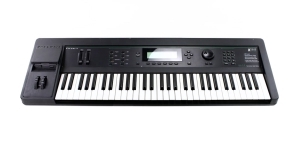 Performance Synthesizer, Digital (D), Voices: 48, Multi Timbral Capacity: 16 part(s), Oscillators per voice: 4, Size: 7.5, Velocity Sensitivity, Number of Keys: 88, Aftertouch, Production start: 1999, Production ended: Yes. 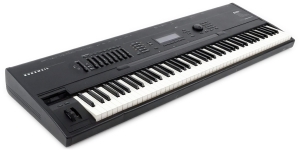 Workstation, Performance Synthesizer, Digital (D), Voices: 48, Multi Timbral Capacity: 16 part(s), Oscillators per voice: 4, Size: 5, Number of Keys: 61, Aftertouch, Production start: 1999, Production ended: Yes. Late version of K2000 with programs derived from K2500. K2000VP appeared in 1998. Late version of K2000R with programs derived from K2500. K2000VPR appeared in 1998. K2000 with expanded ROM sample set (the Orchestral and Contemporary ROM sound sets) made up of 24 MB total and factory-installed P-RAM expansion. K2000 with expanded ROM sample set (the Orchestral and Contemporary ROM sound sets) made up of 24 MB total and factory-installed P-RAM expansion. The K2vxS has the sampling option and 2Mb of sample RAM. 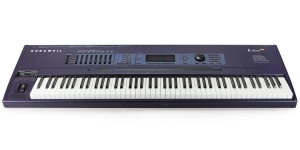 Workstation, Digital (D), Voices: 64, Multi Timbral Capacity: 16 part(s), Size: 6.5, Velocity Sensitivity, Aftertouch, Number of Keys: 76, Production start: 1996, Production ended: Yes. Mega Synth Hartmann 20 Is Late But Who Cares When It's So Great? Axel Hartmann announced the date when his long-awaited virtual analog synth Hartmann 20 comes into production. The release of this mega synthesizer was planned to hit June 2016 but was postponed due to some bug “hunt”. Eventually the creators let us know that the development process is going to the finish line and that now it sounds the way a €20 000 instrument should (taxes not included ;). All who want (or all who can) may pre-order it right now.